The Westwood home at 2252 Linnington Ave, LA CA 90064 received a price reduction this week of 4.7% or $54,000, down to $1,095,000. 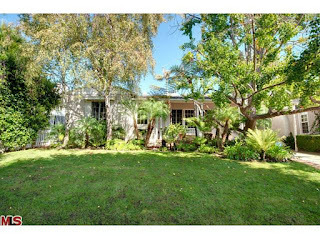 Listed 26 days ago for $1,149,000, this is the 1st price reduction of the current listing. This traditional house looks to have a fair amount of remodeling done to it and is in move-in type condition. The one downfall I see in this home is the 2+den status instead of full 3 bedroom home. It looks like the garage has been converted to a home office, complete with french doors and a/c & heat. According to the MLS, the home is a 2 bedroom / 2.5 bath, 1,744 sf of living space on a 6,750 sf lot.